use this preflight strategy to clarify your intentions Before attacking your tactical “to do” list. Join for the occasional sitrep, weather report, manifesto and/or recipe. Leadership and followership development services. 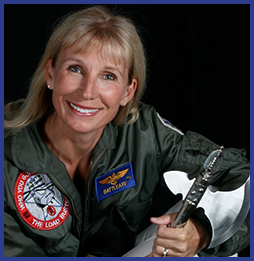 Retired Navy pilot, Captain Karen Baetzel, is not your ordinary “motivational” speaker or predictable “rah-rah” trainer. She’s an instrument of focus and change. Raise the tide in your organization with her custom content, intellectually compelling insight and engaging presentations. Your team will walk away with practical, ‘right now” tools and solutions that work.